Ever had that question in your mind of where funds come from for recreational parks, and how do users benefit from them? Well pro skater, Tony Hawk, and prolific songwriter Ben Harper did, and Harper answered that question with a proposition. As the president of Boards + Bands, Hawk created the foundation to fund skateboarding parks. Skateboards with band lyrics written by the artists themselves are auctioned. Funds that are earned from those auctions are used to build skateboarding parks in low income cities all over the Nation. 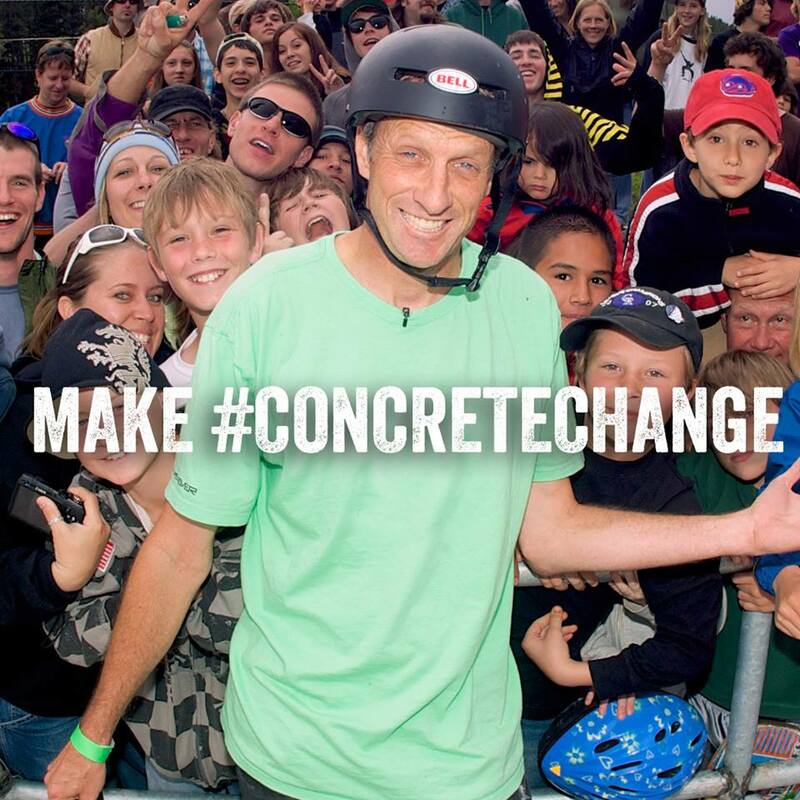 With 4.8 million parks funded by the Tony Hawk Foundation and more pending, millions of kids can now stay away from crime, drugs and death. Tony Hawk’s foundation has all kinds of regulations and standards they put parks under in order to fund those facilities. Kids are thankful that this foundation exists and they are staying away from trouble. I sure wish those skating parks were available when I was growing up! PPLA: We have heard many times the concept of music saving lives. You have combined both passions of yours: music and skating. Have you heard from any of the kids from the parks that you have funded whose lives have been saved because of music and skating? Tony Hawk: Absolutely, other kids that just discovered skateboarding feel like it saved their life, even if they didn’t have the facility! Really, it was my salvation growing up. I felt like an outcast; I really didn’t fit in. Once I found skateboarding, I fit right in and it was a beautiful combination of outcasts who were all from different backgrounds. The remainder of our time with Tony Hawk was in a press conference that was anything but typical! Then again, who sets the rules but Tony Hawk. The introduction was a four-minute PSA where it explained the cause of the foundation and the impact on the kids from the neighborhood. Some of the kids were even traveling as far as from Australia to skate at Tony Hawk’s skateboarding park. Visitors were excited to skate in that park, while locals were happy to be alive and have a place of distraction and to practice what they learned to love. Due to the crime in Long Beach City, Tony Hawk’s foundation funded a park in the Pali Neighborhood also know as the ghettos of Long Beach. This local park allows kids to stay away from drugs and gangs and instead fall prey to the love of an amazing sport known as skateboarding. All thanks to the Board + Bands Foundation.